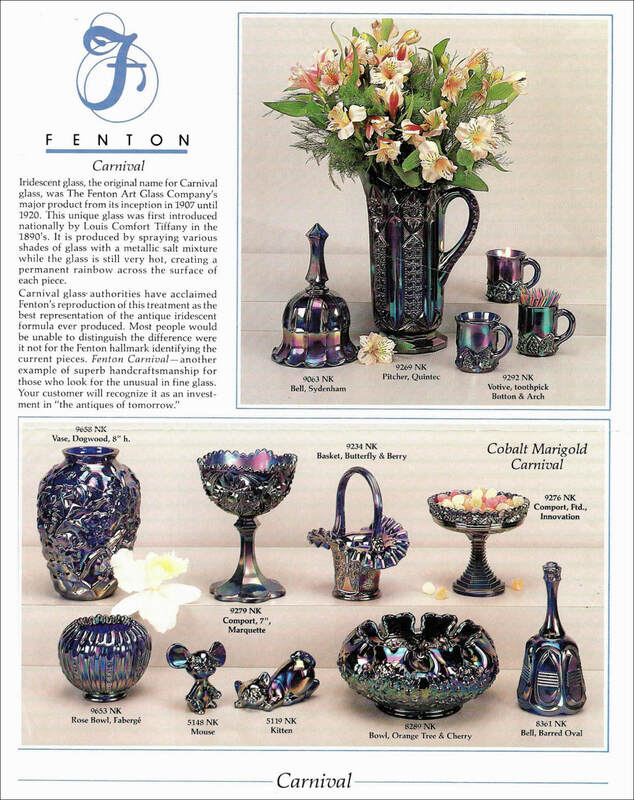 Fenton introduced their beautiful Cobalt Marigold colour in January, 1984. 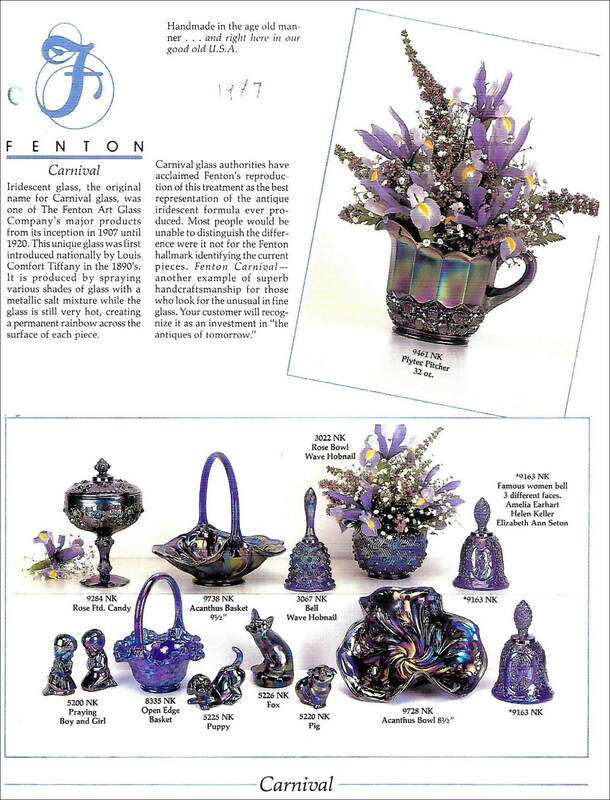 ​The delicious iridescent effect, which Fenton called "Cobalt Marigold", has a rich, multi-coloured iridescence achieved by applying marigold (ferric chloride) iridescent spray onto cobalt blue base glass. 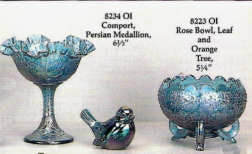 The pages illustrated here are from the Fenton 1986-87 catalogue; the items were given the product code "NK" to denote the Cobalt Marigold colour. 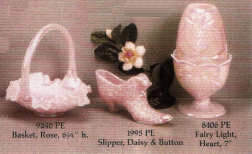 The catalogue pages are shown here courtesy of the late Frank Fenton who gave us these beautiful extracts during the time we were researching in the Fenton archives at Williamstown. 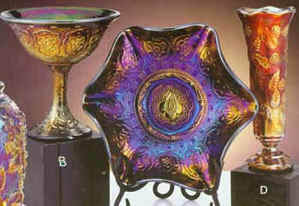 The beautiful, multi-coloured iridescence created in Fenton's Cobalt Marigold is wonderfully demonstrated by these two plates ... and to add to the superb iridescence, the mouldwork is truly outstanding. Crisp, detailed and expertly designed. This splendid plate is Winter Pastime from Fenton's Currier and Ives Series (number 4 in a series of 4). 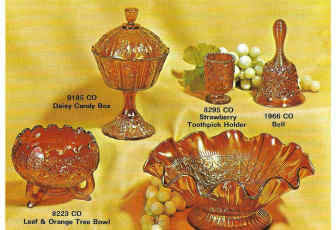 Issued in Cobalt Marigold in 1984, the production was limited to 3,500 pieces. 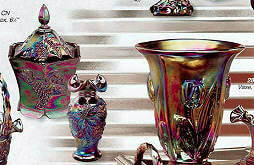 Another amazing Cobalt Marigold plate - Garden of Eden, issued in 1985. The artist's name - Hal Reed - is moulded in the design near the edge of the plate, between the legs of the deer. Limited production. Rare. 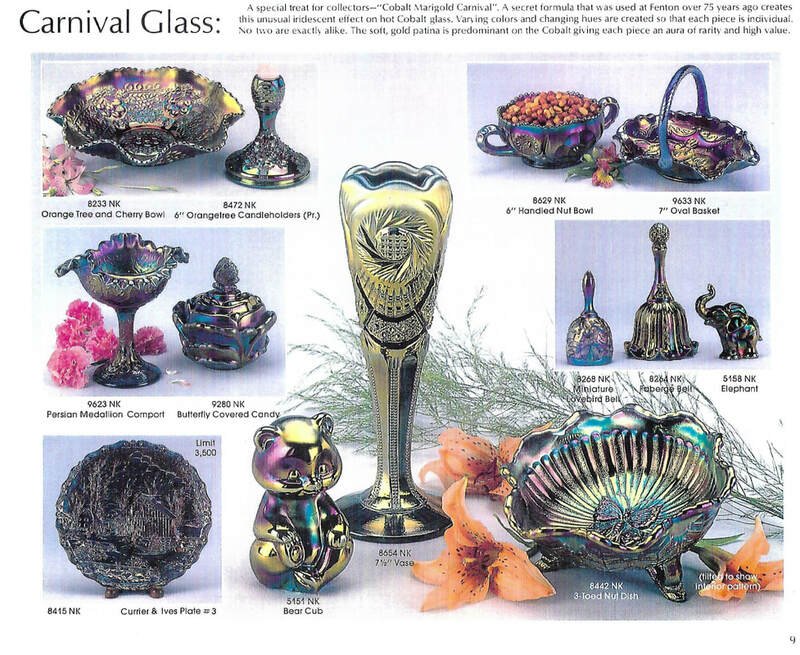 ​See more of Fenton's Contemporary Carnival Catalogues - click on an image below.